A few months ago, we were accepted into the Abrams Dinner Party line up for fall and spring 2018-2019. We are pretty excited to get to extend our skills a bit further into something a little different from our usual dinner parties. With a variety of cookbooks sent to us from Abrams books, we get to explore an endless amount of new recipes and put them into action. *We were sent this book in exchange for an honest review, and of course, all opinions are wholly our own. You can see our policy right here! Instead of our usual props and decor, we decided to keep this seasonal and simple, because we’ll be doing quite a few of these, and we want to ensure it is manageable and fun. 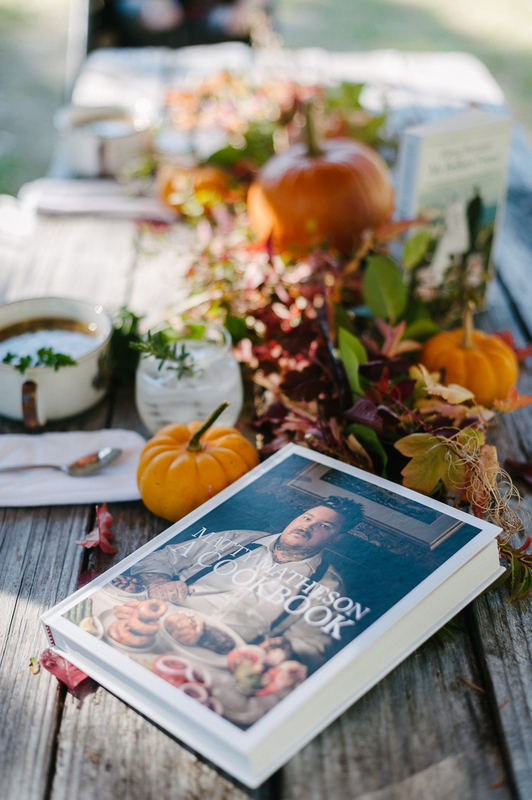 We got together when the first cookbook arrived to flip through and see what it was all about. 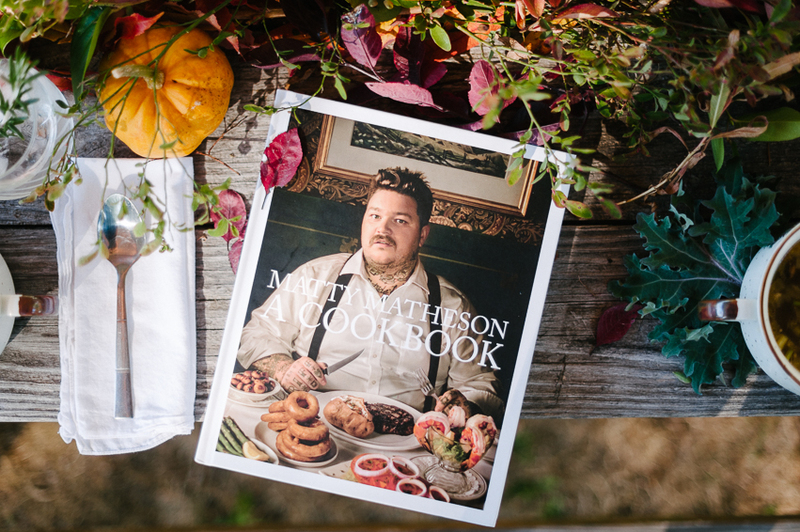 Matty Matheson | A Cookbook shares an interesting mix of his personal history and it progresses from childhood to culinary art school. I always love a cookbook that gives you something a little extra. Matty definitely has some skills in the kitchen, and exceeds much of what we’re willing to make on a regular basis. But, if you’re looking for a unique dish to step up your game and wow your guests, this might be the cookbook for you. We marked a couple of recipes we were eager to try, as there are quite a few that took a traditional meal and made it into something a bit fancier. 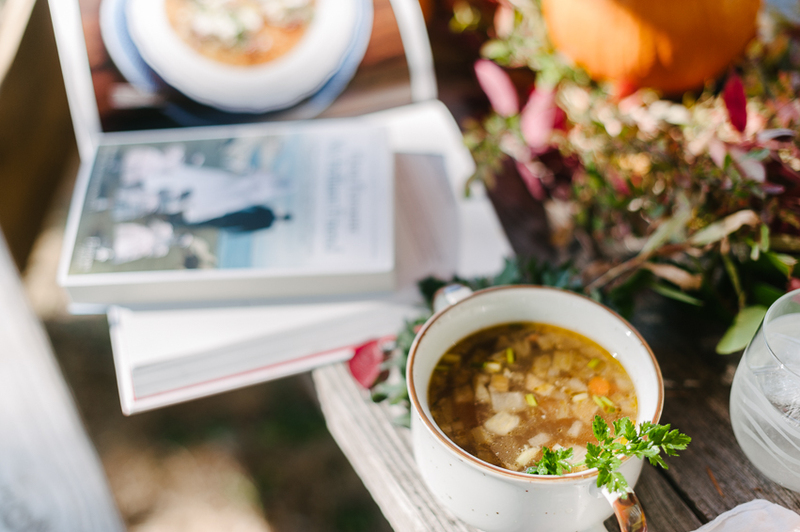 As fall is heavily upon us, when we saw the Italian Wedding Soup, we agreed it was the best choice for us. It did not disappoint. 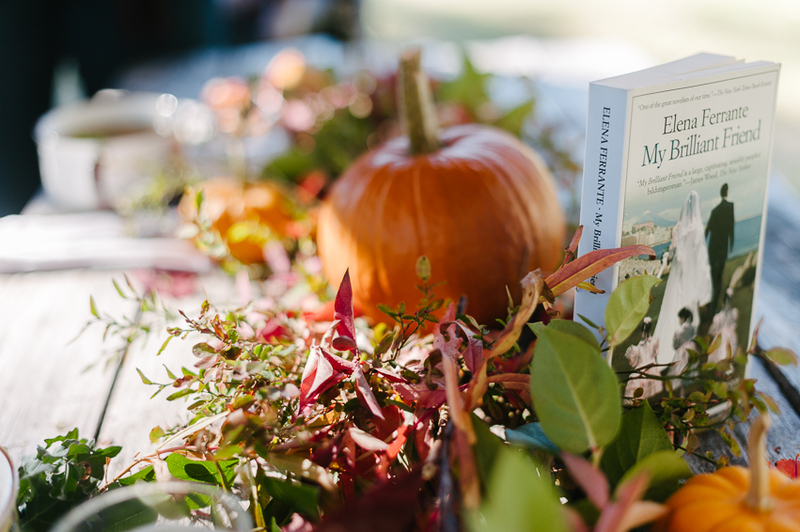 We also thought of ways to tie in a literary element and immediately thought of Ferrante’s My Brilliant Friend for this recipe. This is absolutely a recipe we’d make for a dinner for this book. Thanks so much Abrams for having us as members for the dinner parties, we’re having so much fun already and look forward to the next one!